The first thing I want to talk about in the Tactics series is ammo discipline. Ammo discipline refers to the practice of using the ammunition you carry wisely. When you boil it down, any shooting at all is a NEGATIVE. Firing your paintball marker gives your position away to an opponent, or at least it gives him a good idea of the general location where you are. The second-worst part about shooting of course is that you use up paintballs, which are expensive. If you're playing at a field where paint is $100/case, you're literally throwing a nickel away every time you pull the trigger on your marker. So if you pointlessly let loose with 10 balls at the bunker your opponent is hiding behind, you've just spent 50 cents for zero results. That's equal to a crappy tip for a beer at your next night out, or half a litre of gas! Besides stealth and cost, there's always a risk of hitting friendlies with that paintball you just fired (sometimes teammates will run into your line of fire with no warning), and of course the chance the paintball could break in the chamber or barrel of your marker, turning it into a gummed-up, short-range flamethrower. Of course, to take out an opponent and be effective in the game, you'll have to fire your marker at some point! It's a necessary evil. And because paintball markers are inherently inaccurate, you may have to fire a lot more than once to hit an opponent when you get the chance (especially at a distance). But you need to be disciplined with your ammo at all times. Shoot only at what you can hit (unless you're suppressing an opponent - which I'll cover in a later post)! 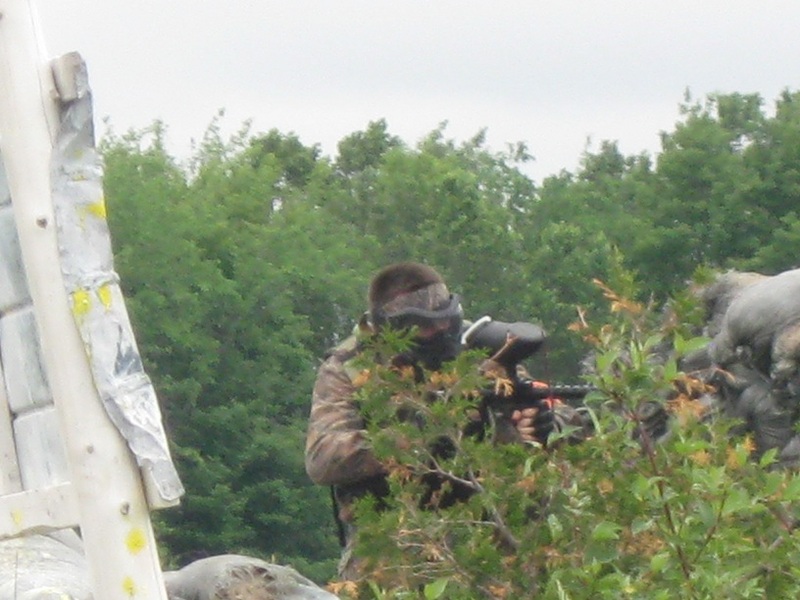 It takes experience playing paintball to understand what you can hit and what you can't, but generally if you've fired 10 paintballs and haven't hit your target, firing another 10 won't magically allow you to hit him; it'll just drop another 50 cents of your money into the pocket of the field owner. 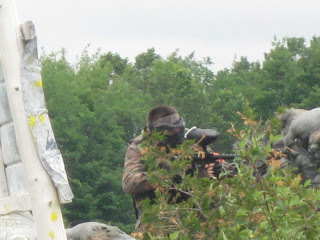 Instead, learn and accept the limitations of paintballs, and use proper tactics and movement to get a closer and better position on your opponent so that you can take him out with 1 or 2 shots.